The awards bring the country music community back to Vegas six months after the deadly rampage. The ACMs brought the country music community back to Vegas six months after the deadly rampage. Aldean was performing onstage when the shooting occurred. 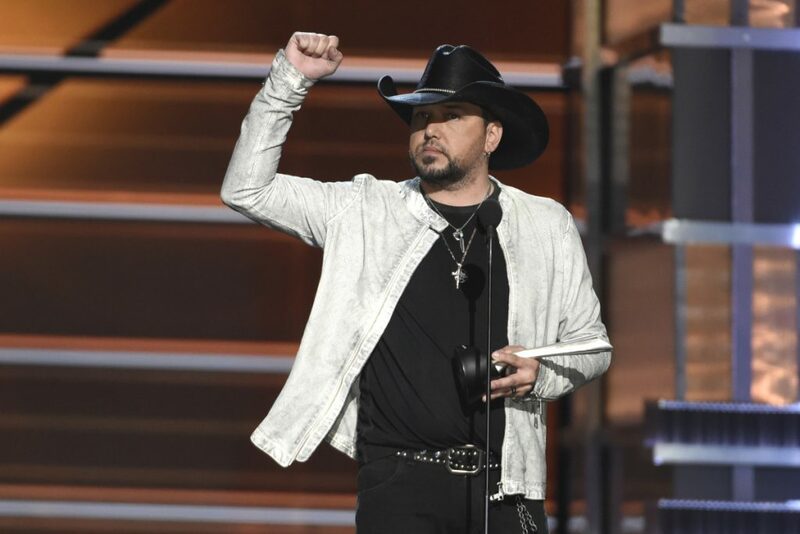 Though Aldean beat out Stapleton for the top honor, Stapleton’s Sunday was met with many high points: His wife, Morgane, gave birth to twin boys; he celebrated his 40th birthday; and he won male vocalist of the year and album of the year, where he won twice as a singer and producer. Underwood also had a big night, returning to the stage like an A-List veteran in her first television appearance since injuring her face and wrist last year in a fall at her home. Her powerhouse vocals shined when she performed her new song, “Cry Pretty,” earning a rousing – and long – standing ovation from the audience. Immediately after the performance, she won vocal event of the year for the dance-infused country song “The Fighter,” with Keith Urban.